Growing a successful business does not mean growing past all the problems. Growing a business means being able to handle bigger and more complex problems. Business growth is simply not possible without change. But the business press and management gurus promise us that if we follow this or that formula for success, then all of our problems will disappear. These are false promises. Change is part of business and life, and as long as we are alive, we will have obstacles to overcome. Ignoring this most basic law of business growth is like ignoring gravity. As long as there is change in a business, there will be problems and opportunities. Imagine, a young technology company growing at breakneck speed – from zero to $100 million in less than two years. At the same time, the leaders are complaining about the size of the problems they are now facing. What do they expect? No business sails smoothly into success. All of that growth is bound to create problems. Yet they want to know when all of the problems will go away. Problems only go away when there is no change. Change only goes away when we are dead. The dinosaurs didn’t adapt to change, and neither did many businesses that once ruled the world. Any business that hopes to survive must learn how to manage and lead change. It’s easy to become stressed and overwhelmed by the number of problems created by a business. Everyone has a different capacity for handling problems. Some people can handle a certain amount of change and uncertainty before they feel stressed. And others can take on more and bigger problems before they feel the strain. Anticipating problems and understanding how to solve them more effectively can increase this threshold for anyone. However, a huge barrier to business success is a belief that there shouldn’t be any problems at all. Businesses naturally create problems. Anytime you’re trying to do something new or different, there are going to be problems or obstacles that appear. As you grow and get bigger, new problems are proof that you are evolving and outgrowing your old ones. That’s the secret to success. The biggest business breakthroughs come from what once seemed to be the greatest problems. The truth is that problems are gifts. As business leaders, we should wish for greater problems. Addressing and being able to solve bigger and bigger problems means that our knowledge, skills, and capabilities are improving. Change is stressful. There is no question about it. But the alternative is to have a business that is stagnant – or worse – dead. To survive in business, the solution is not to slow change. The dinosaurs tried that. The solution is to embrace change and the problems associated with it as a natural part of the growth process. 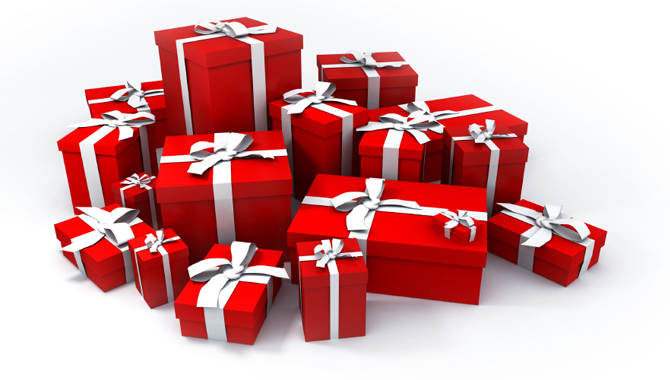 What are your greatest gifts? 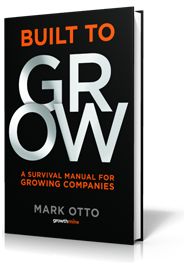 For a comprehensive look at how to master business growth, download my free eBook: Built to Grow: A Survival Manual for Growing Companies.